As hatchlings they can be brilliant yellow, red and even maroon with some examples that are so dark brown that they border on appearing to be black. Yellow neonates may have red, black or white markings on them. Sometimes they may also have a red vertebral stripe. Darker neonates can have black, white or yellow markings. Occasionally a dark neonate may have virtually no markings present on it. Each one is different. As GTP�s grow they go through a color change that is known as an otenogenic color change. 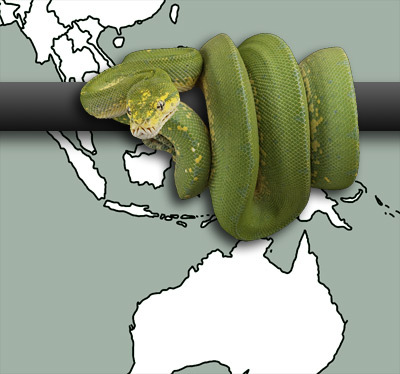 As adults GTP�s can be varying shades of green, blue, yellow or any combination of the previously mentioned colors. They can also have various white, yellow, red/orange, blue and black scales or patches of coloring on their bodies. 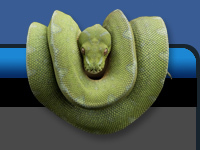 Unlike ball pythons, GTP�s have locality varieties as well as designer varieties. At this time there is only one known simple recessive genetic mutation of the GTP and that is the albino.